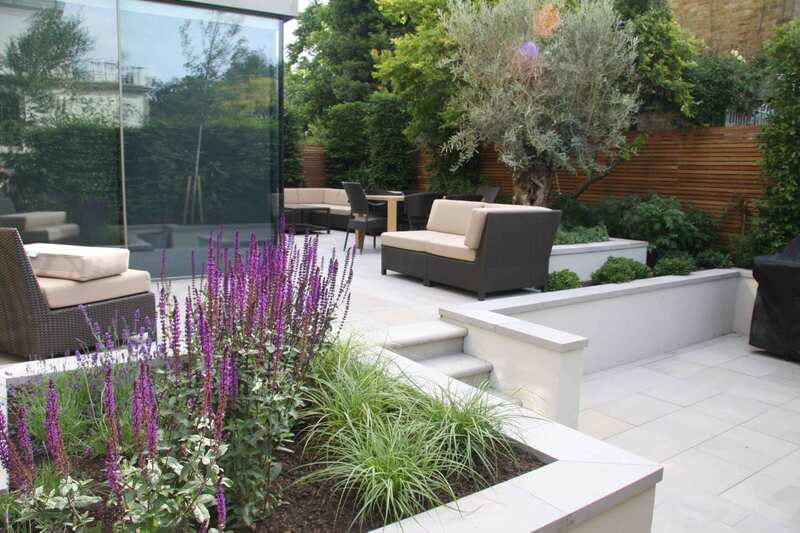 This slick, contemporary garden was designed around a ‘glass box’ conservatory. 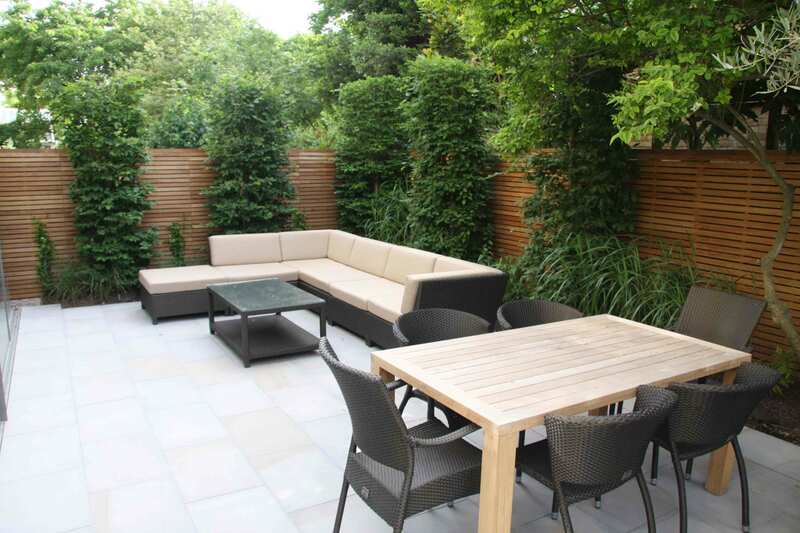 The resulting space maximises the available room for outdoor living, dining and eating. 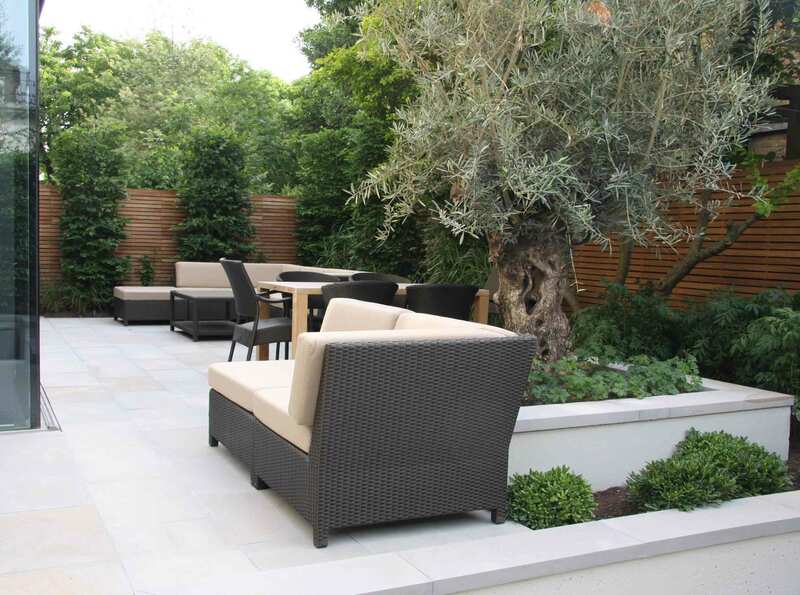 The focal point, a 100 year old olive tree, provides the pivot point from which everything revolves.